We met with the director and three principals from the primary, middle and high school and eagerly reviewed their program. The school, established in 1959, offers three diplomas: United States, International Baccalaureate or Ecuadorian. They have an average class size of 15 with a student-teacher ratio of 5:1. The school embraces the 4 “Cs” as students are actively involved in collaboration, communication, creativity and critical thinking. In addition, the New England Association of Schools and Colleges, the International Baccalaureate Organization, and the Ecuadorian Ministry of Education accredit the school. The faculty is well educated—with 78 percent having earned master’s degrees. The campus is beautiful with an Olympic-sized pool, tennis and basketball courts, and athletic fields. Most interesting to me was that their preschool program called Imagine, which has children entering at age 12 months. The students in this program are given priority when it comes to matriculation in the school-age program. The principal is proud that the school turns homework into a family project as it encompasses both problem-solving and hands-on learning. There is no open enrollment, as teachers and counselors must approve students. Graduates attend colleges around the world and it was most interesting that more than 200 U.S. colleges and universities recruit from Academia Cotopaxi. The school takes pride in renovated classrooms for maker spaces and more technology, including 3D printers. Like many schools in California and Florida, the campus is open and students walk outside from building to building. There is a clear security vestibule with sign-in procedures as well as the campus being gated. However, there was a total feeling of safety. We felt so welcomed at the Academia Cotopaxi. I always find that these international trips reinforce the quality of U.S. schools. We are fortunate to embrace the ideal of a quality education for all children. I encourage everyone to consider an international professional development experience with AASA, The School Superintendents Association. For more information about Academia Cotopaxi, access www.cotopaxi.k12.ec. 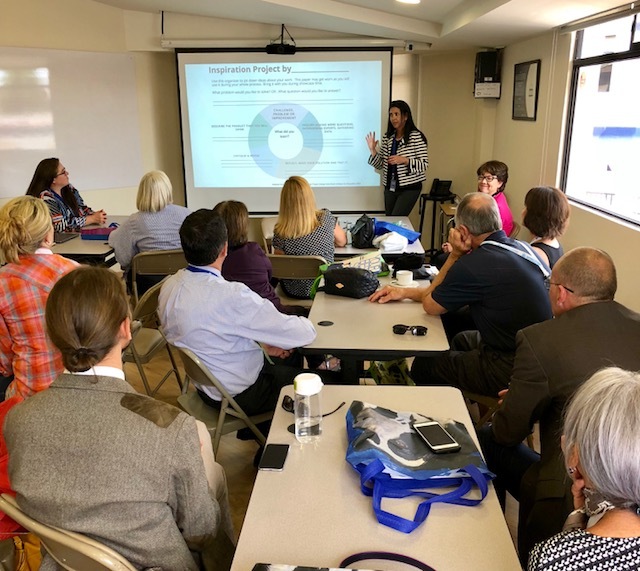 This entry was posted in Education and tagged AASA, AASA International Seminar, Academia Cotopaxi, Amy Sichel, superintendent, The School Superintendents Association by Dan Domenech. Bookmark the permalink.